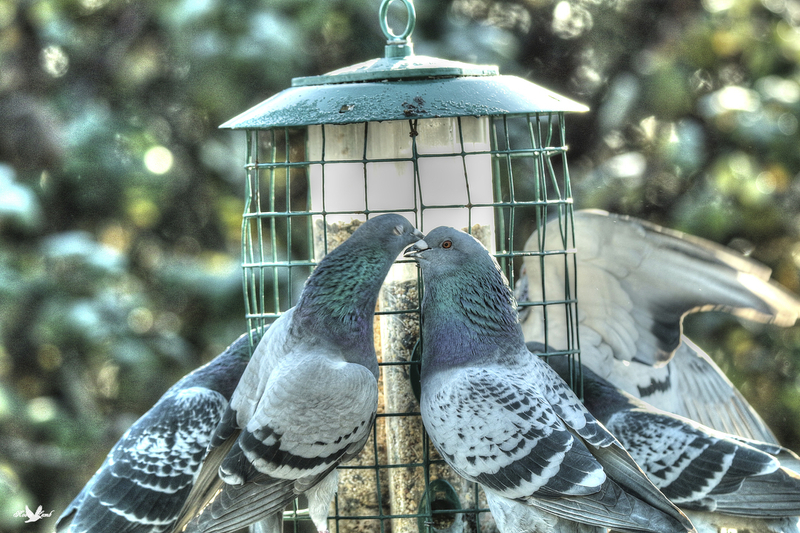 Pigeons at a bird feeder. Not sure whether they are lovey dovey or having a bit of a spat over space! This entry was posted on 2015/01/01 by Robin. It was filed under Birds and was tagged with B.C., Feeder, Ladner. No spat or their head feathers would be raised and their eyes fierce …. Lovely photo. Vera, thanks, I didn’t know that! They look like they’re in love together. Bob, well, that’s what I thought too, but there was such a commotion going on that I couldn’t tell! Pat, thanks! They sure were a busy bunch!